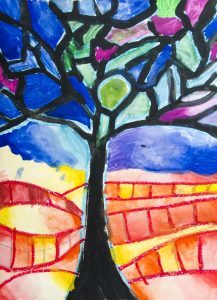 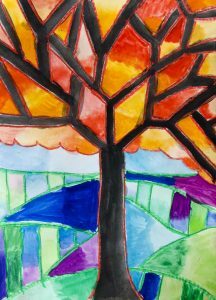 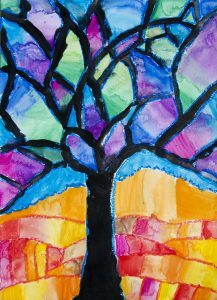 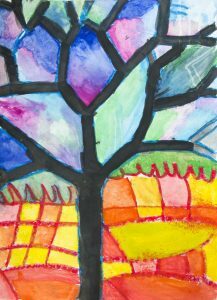 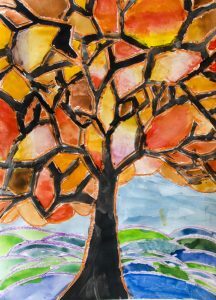 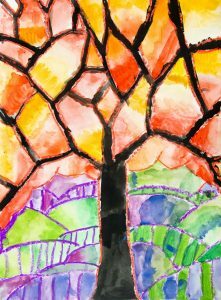 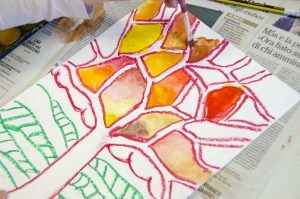 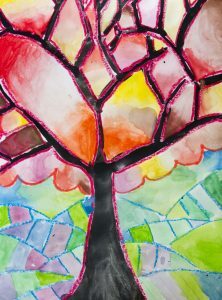 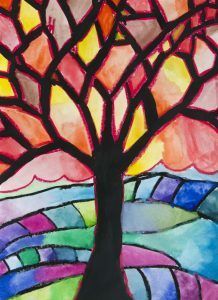 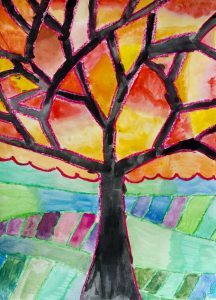 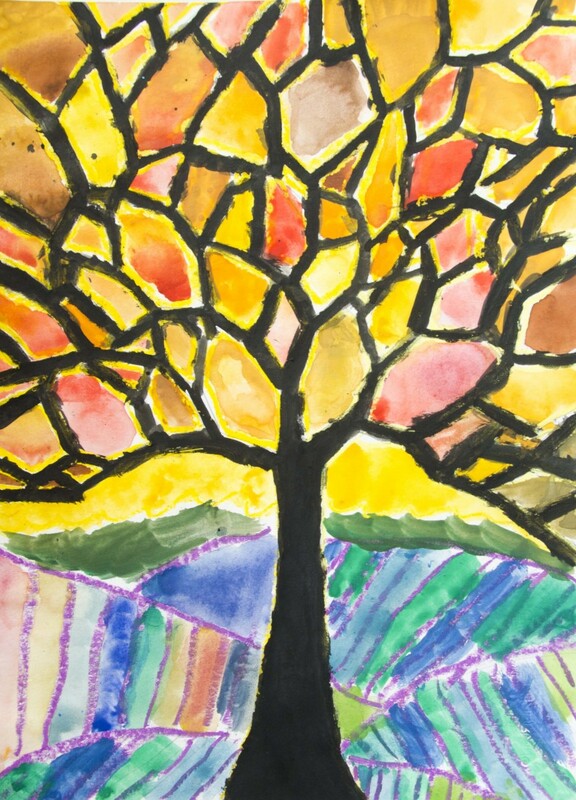 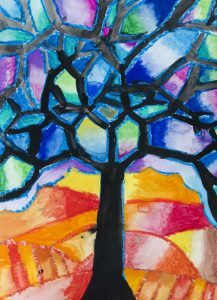 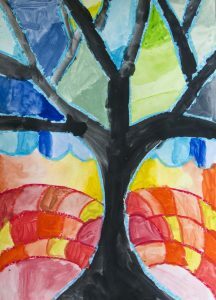 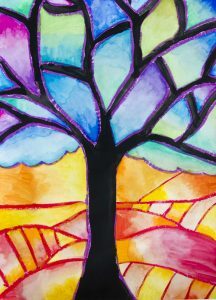 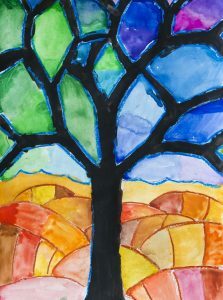 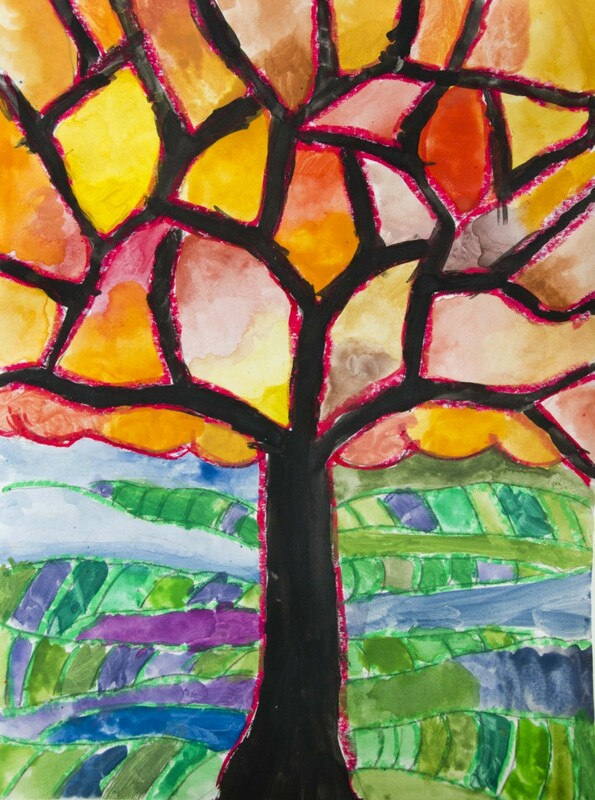 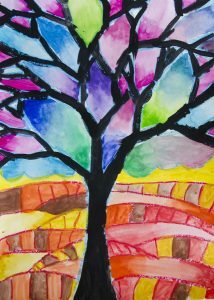 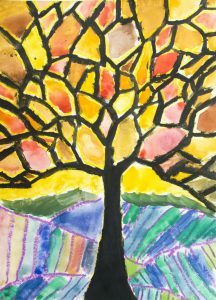 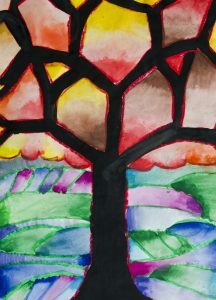 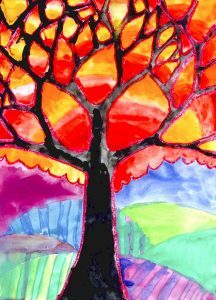 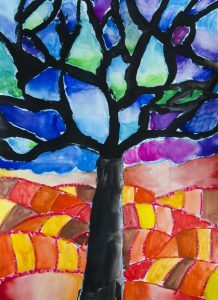 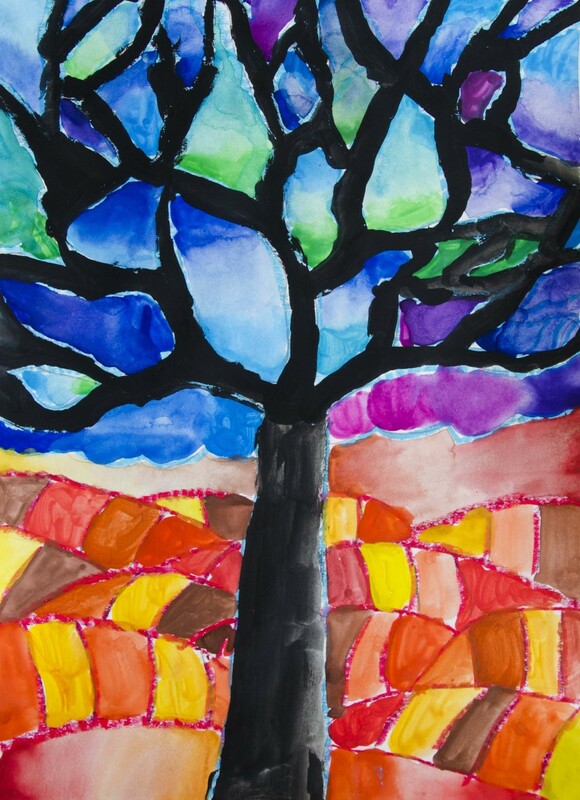 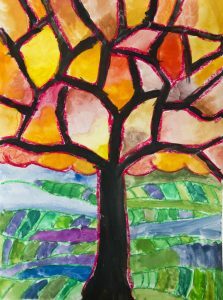 In this mixed media painting we used oil pastels and watercolors in order to learn the ranges of warm and cool colors. 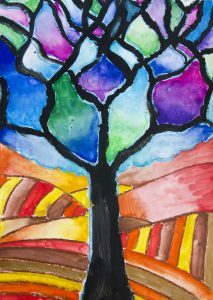 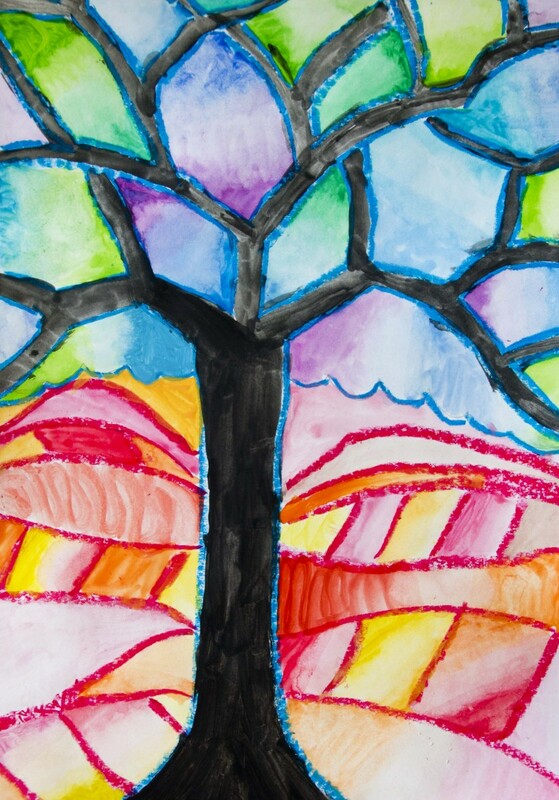 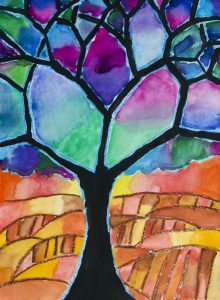 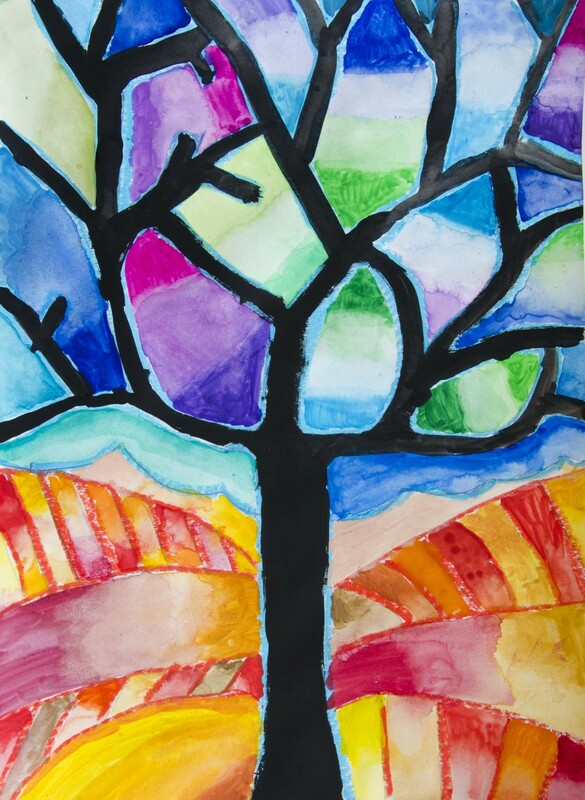 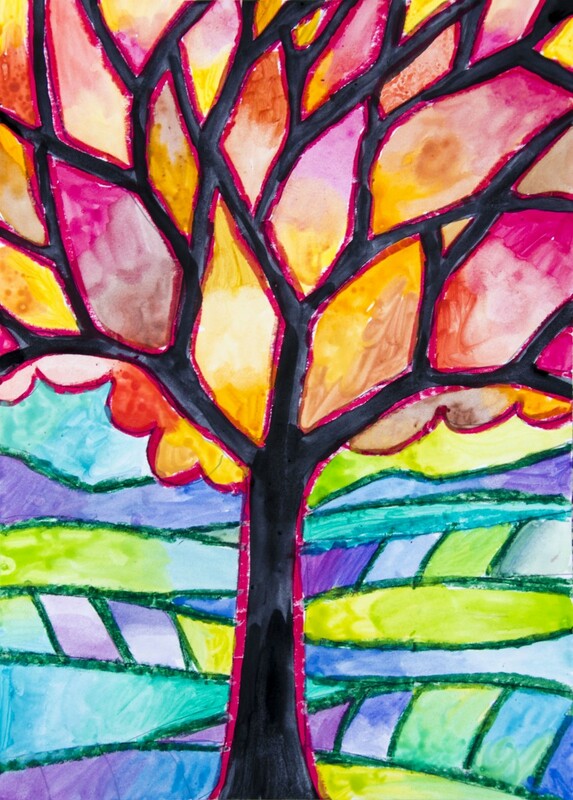 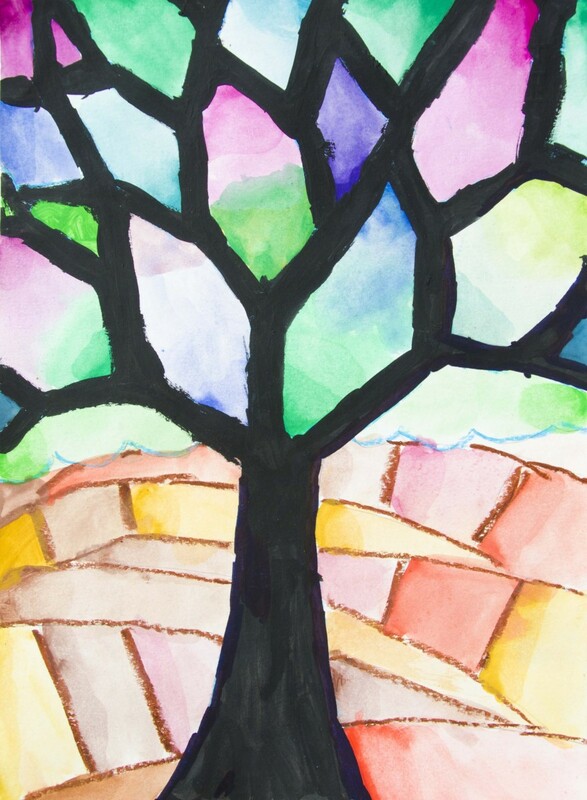 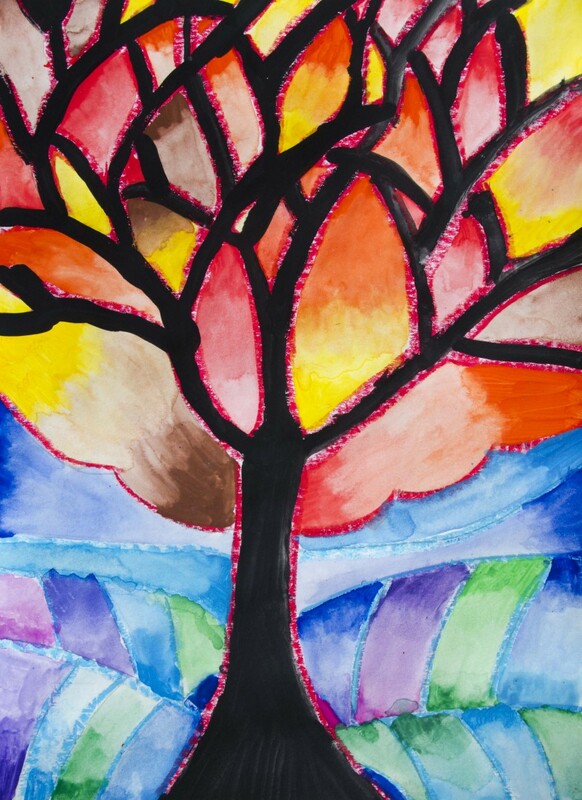 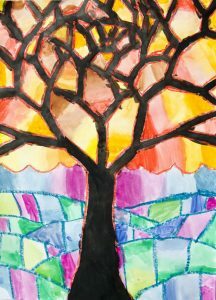 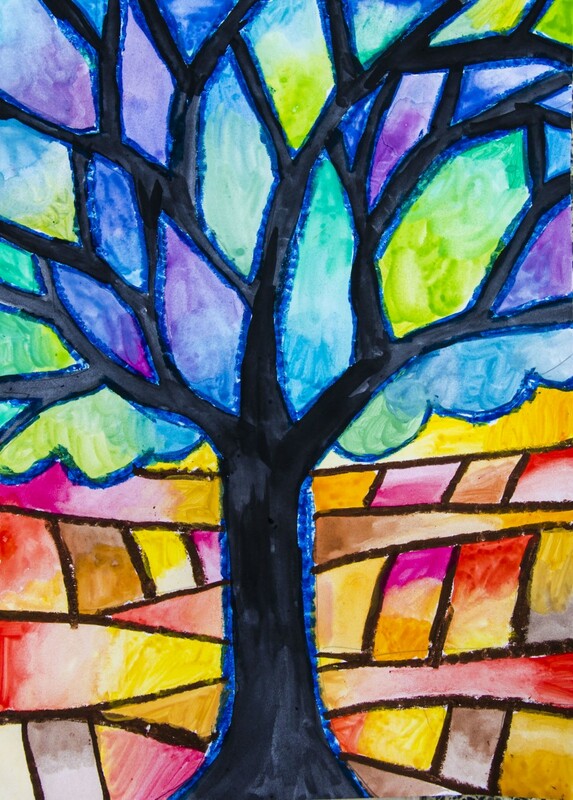 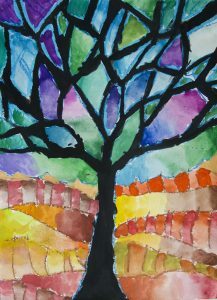 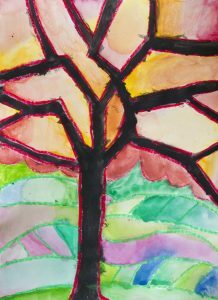 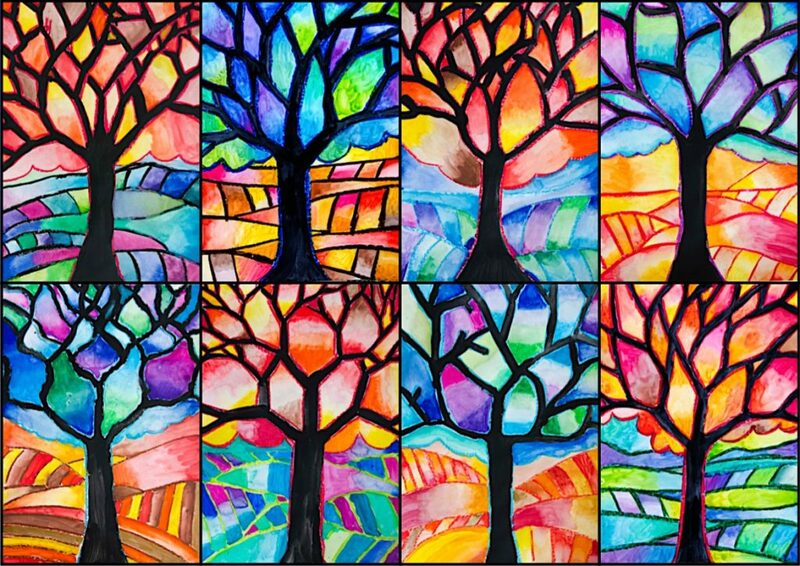 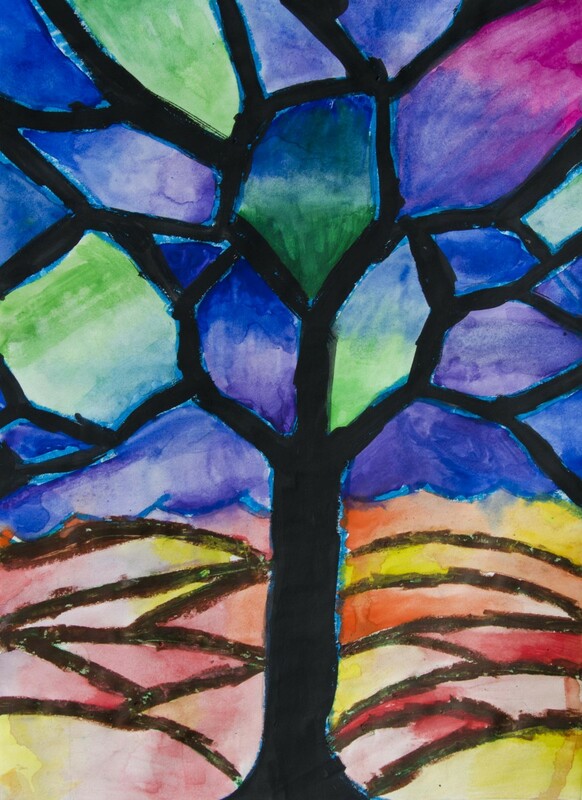 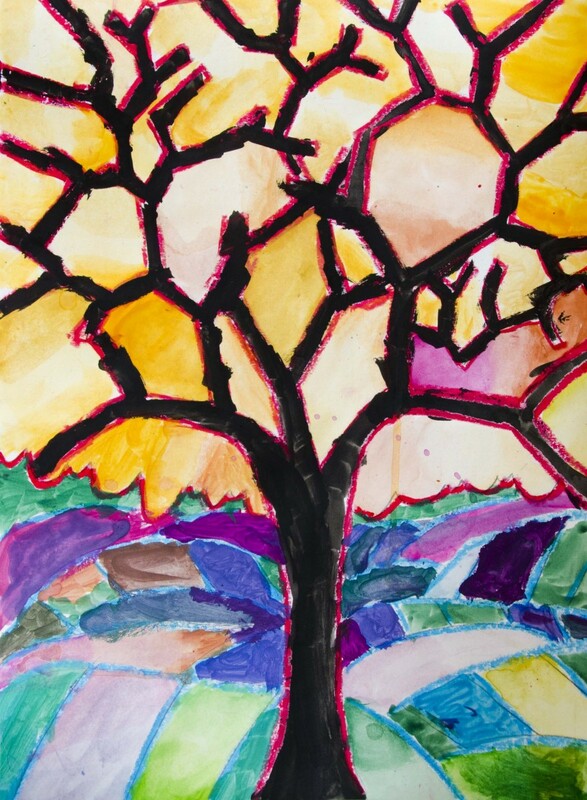 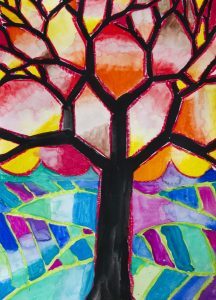 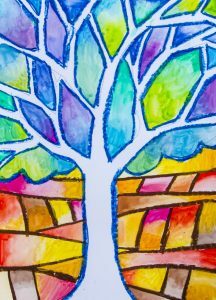 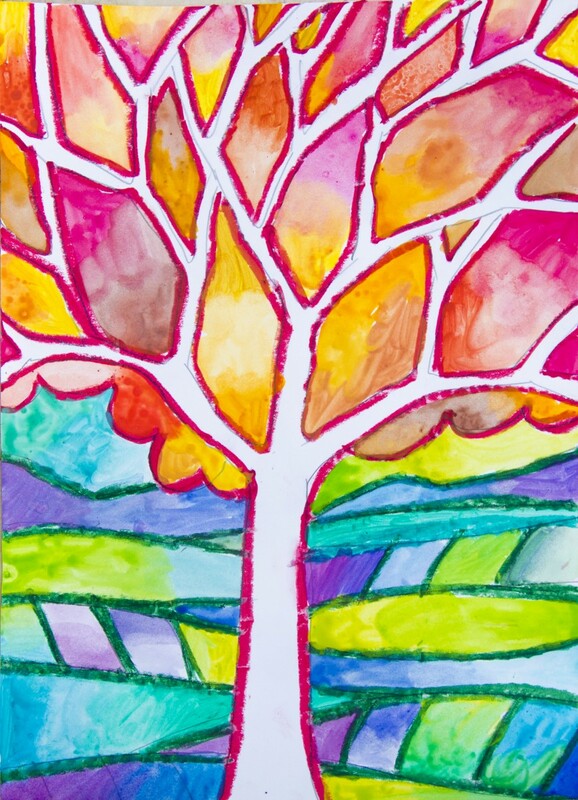 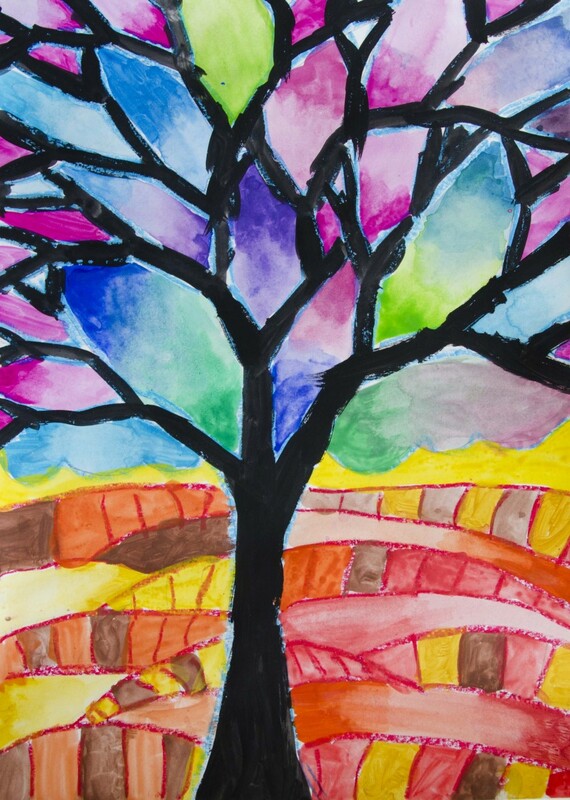 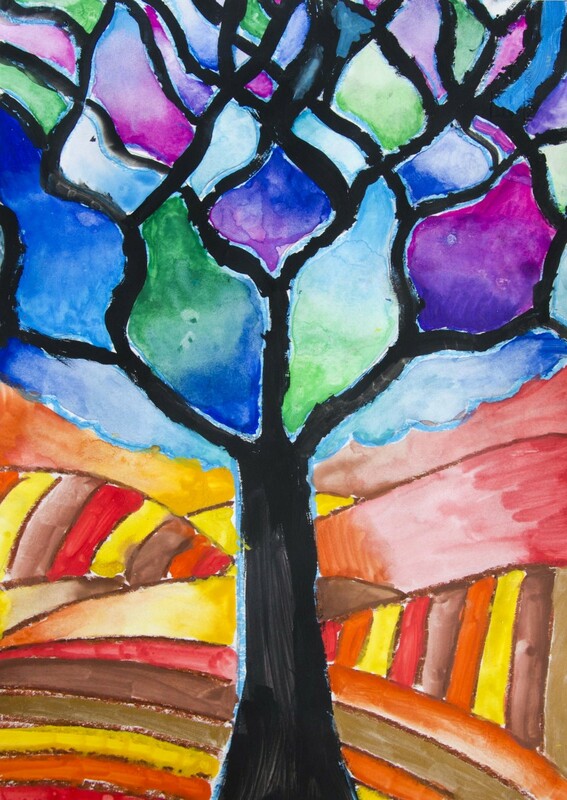 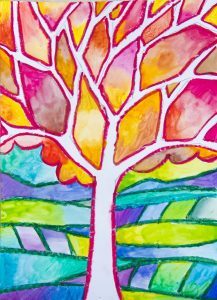 With students of Grade 6th we created these trees to recognize and use this kind of colors. 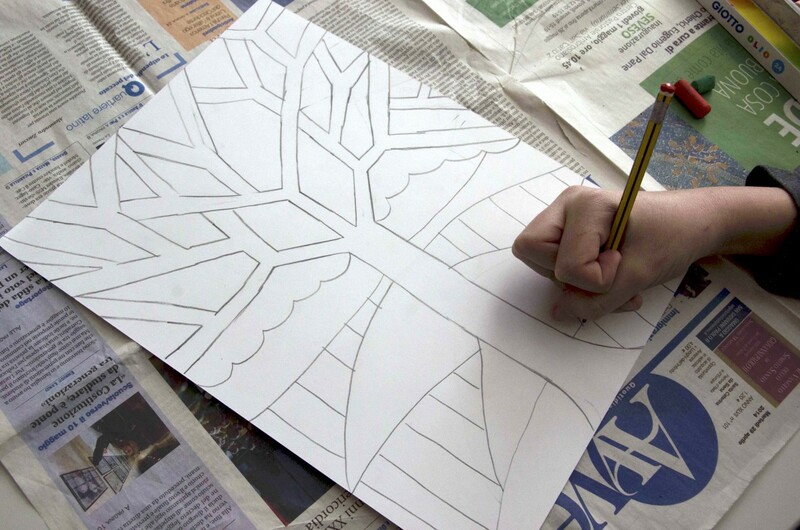 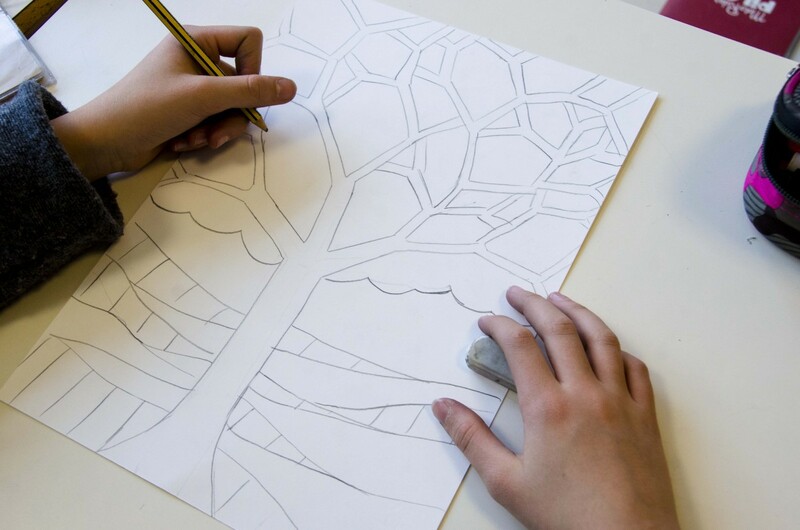 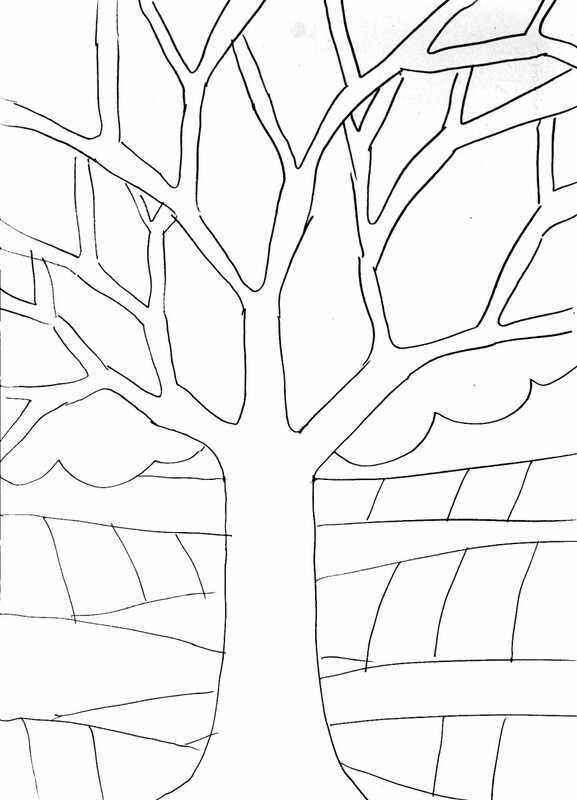 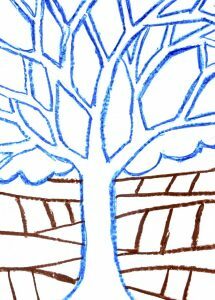 First we draw the tree and the fields with a pencil. 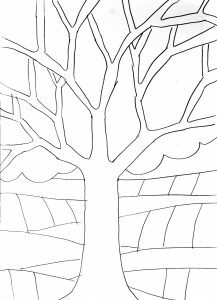 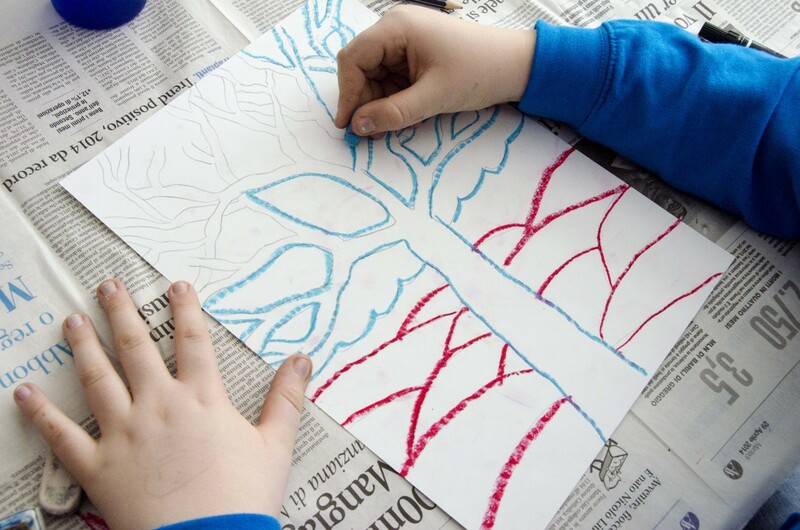 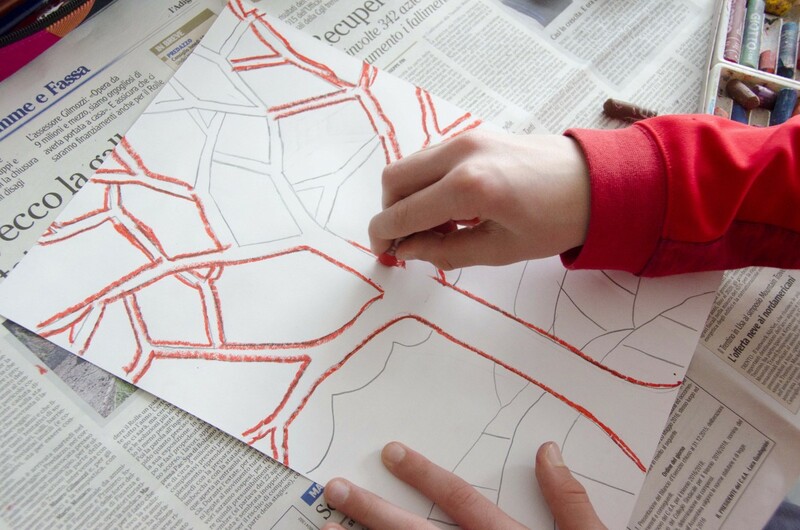 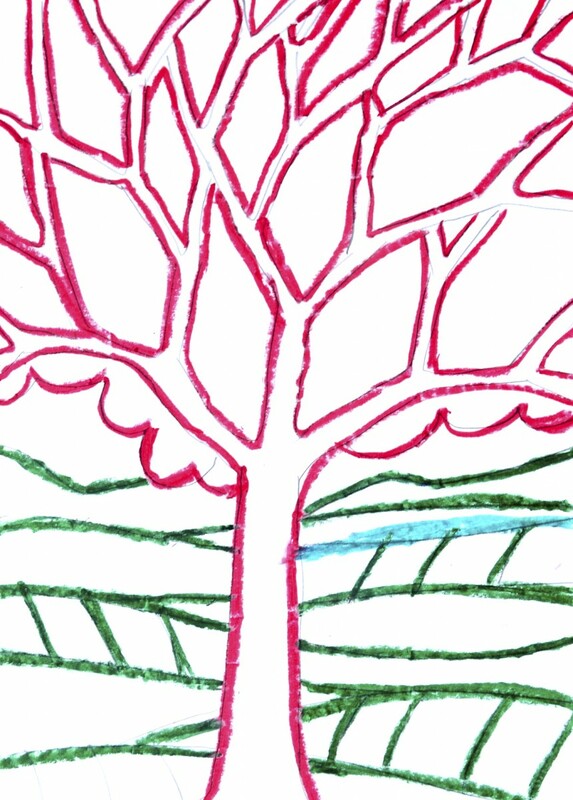 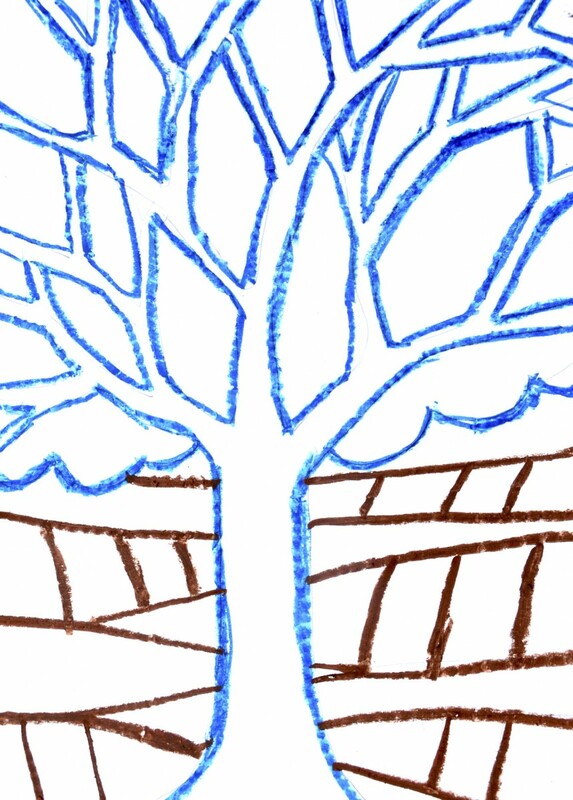 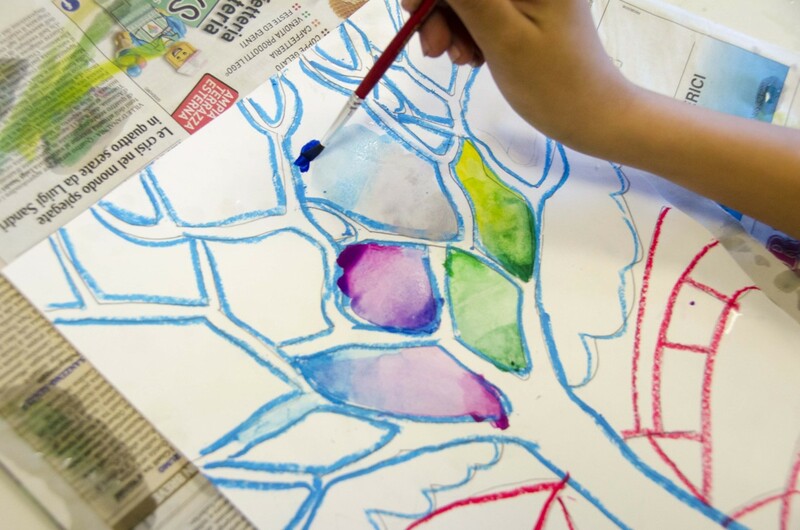 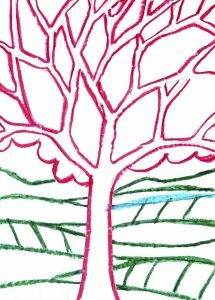 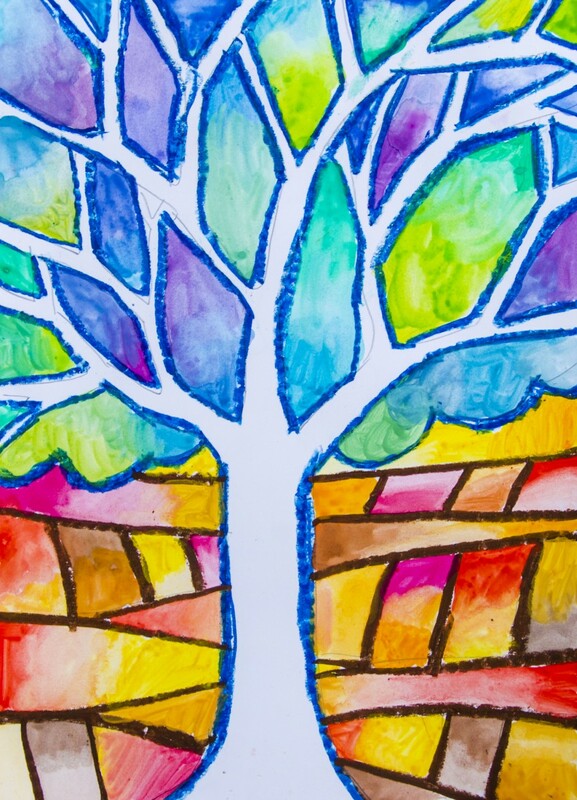 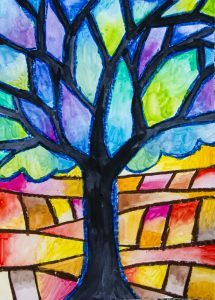 Second we decide which part will be in warm and which in cool colors and trace all the lines with oil pastels (eg: we trace the tree with red and the fields with blue or vice-versa). 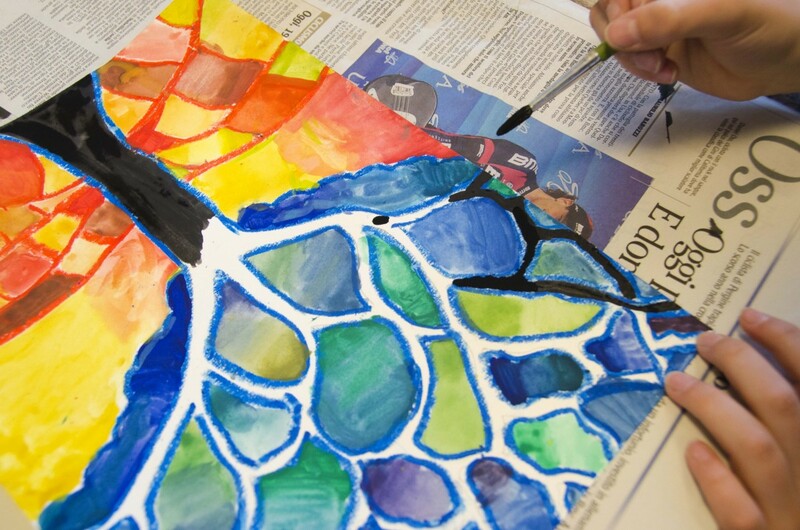 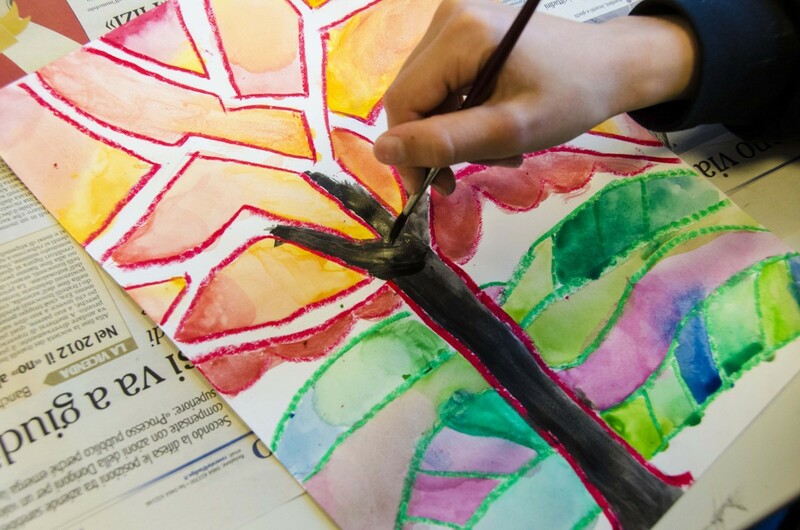 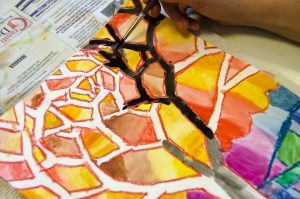 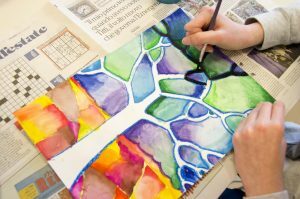 Subsequently we paint the areas with watercolors, shading and mixing the colors on the paper with water. 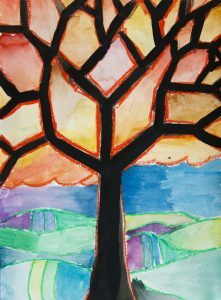 Eventually we paint the trunk and the branches with a black solid color, using still watercolor but not diluting it too much.